Iron Golems are one of the two Mobs that can be created by players. The other mob is a Snow Golem. 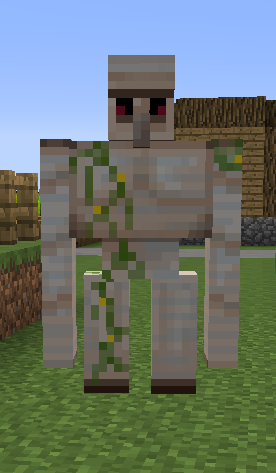 Iron Golems can be found wandering around Villages in which they guard the Villager from hostile mobs. They can drop 3-5 Iron Ingot and up to 2 Roses but will not drop experience points considering a player can create them. They attack by running up to the enemy and using melee attacks to throw the enemy in the air. An Iron Golem will not attack players unless attacked first. 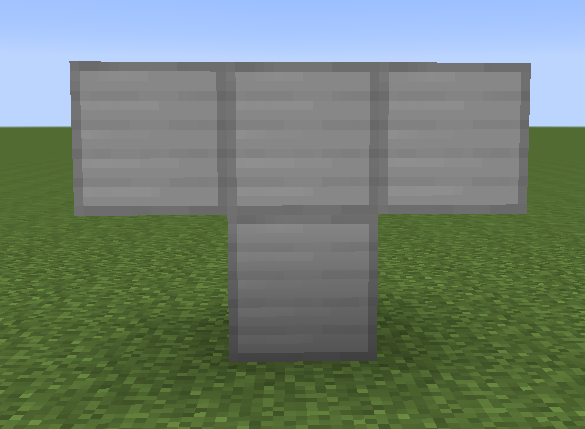 Iron Golems can be created by putting 4 Iron Blocks in a “T” Shape and then placing a Pumpkin on top.